Polystyrene sometimes gets a bad press because it is bulky and it cannot be easily recycled without using some solvents. 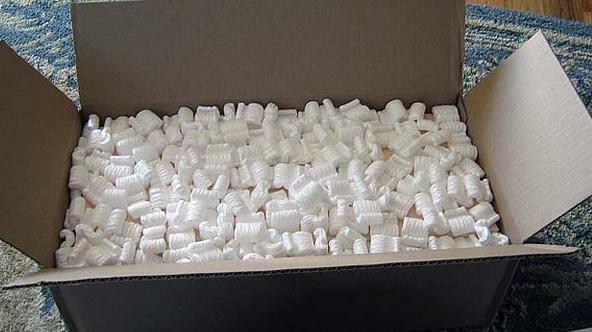 However, despite the negative characteristics, polystyrene waste can also be very useful in people’s homes. 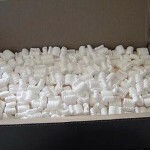 The following are the top five ways in which you can reuse polystyrene. Use the polystyrene to make home-made superglue. Not many people know that they can recycle the polystyrene to make their own superglue. You can do so by mixing a large amount of packed peanuts with d-Limonene, which is orange rind oil. The oil ingredients will slowly break down and dissolve the polystyrene, making it sticky. Then you can use it as nice permanent glue. Use it for drainage in the base of your plant pots. Of course, you should not use it for pots where you grow edible fruits or veg, but it works great as replacement for gravel or pebbles in your plant pots. Line the base of the plant pot with a thin layer of polystyrene chunks and bed your plants as usual. Using polystyrene as drainage is great if you plan to regularly move your plants because it is a much lighter material. Polystyrene can also be used as an insulator. However, this should be done with extreme caution because the material is flammable if it is not treated with flame retardant. Polystyrene materials can be used for cushioning different delicate things during a house move or for shipping fragile materials. Use the polystyrene for your patio. Larger polystyrene pieces like those obtained from big box electronic appliances or from refrigerators can serve as great raised beds for your garden. Make some tiny holes with a knife in the polystyrene pieces, and they can serve as drainage holes for different purposes in your garden.